My problem is I can't find any cast load data for a 160gr pill like this one. Can someone point me in the right direction? Not using cast bullets, using Hornady (see pic). Using PPU brass and 29.5 gr of Hodgdon BL-C(2). My rifle will keyhole with .264 bullets, so I had to go with the .267 from Graf’s . Results were good. First questions , what rifle are you using , what is the bore size - land and groove ? Carcanos have deep rifling that tends to tear up cast bullet , many have gain twist which also tears up bullets , some have .268 + deep groove that do not work well with an undersize cast bullet . Also be very careful using the .267 jacketed bullets as they are made wrong and will cause bad pressure problems in some rifles , depending on the bore size , barrel length and gain twist . What type of powder are you going to use? For that (cast) bullet weight 30 grains of IMR 4350 is a nice accurate load. Also had some success with IMR 4895. 28.2 grains did ok.
FYI, I never took these loads out further than 100 yards for accuracy. They grouped well at the 50 yards. I have since sold my Carcano. I got rid of all of my "Bubba's" so to speak. But my load data remains. What do you mean "they are made wrong"? I just picked up a couple of boxes of the ones pictured above. 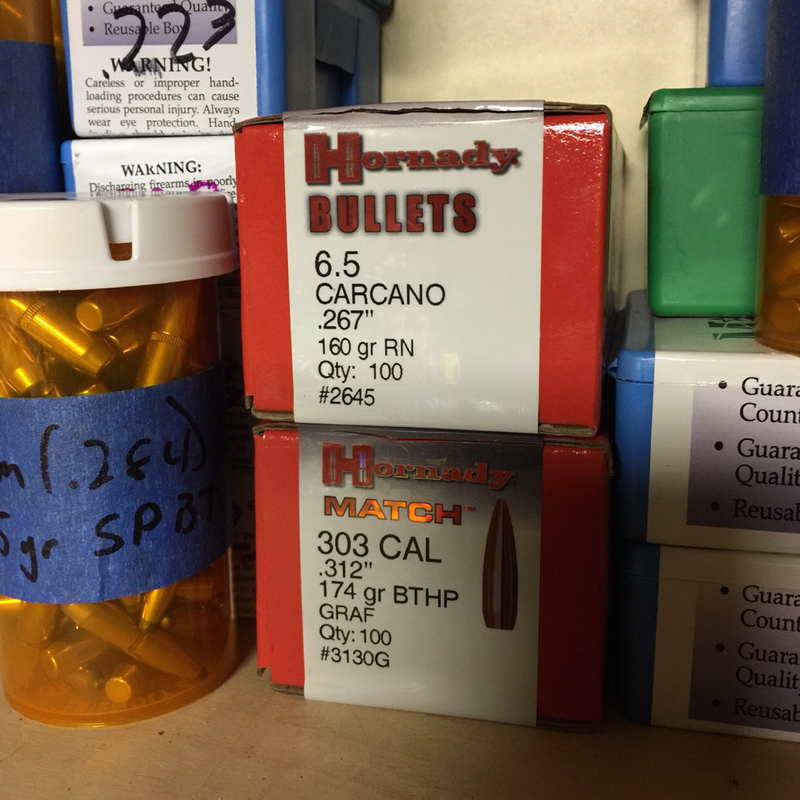 The guy at Hornady did not understand that Carcano's had different land and groove sizes , nor did he understand that all militaries used "bore riding " [ smaller than groove ] bullets . He kept tearing up jackets do to over sized bullets and the gain twist rifling . He kept making the jacket thicker and tougher , the opposite of what needed to be done . Then he had to specialize his load , and that still only works in some rifles . If your rifle has a tight land ,very deep rifling , or the overall smaller bore found on M-41 rifles , you can have very high pressure problems . Swelled cases , blown primers and so on . In short what happens is the thick oversized jacket has very high bore friction , the deep land try and engrave the jacket , more friction , then the bullet hits the different twist rate rifling and drags some more . All of this together can really raise pressures . We did some tests that shot the core out but left the jacket in the bore . Thanks for mentioning that M-41's tend to have smaller bores. I think mine is that way as compared to my other Carcanos. Mine was made in 1943 for reference purposes. I just thought they wore out their rifling reamers and stopped caring by then. Sorry, I missed this when you posted. Thank you for the information! For a short distance (100 yds or less) plinking round I use 2400 powder, 16 grains. No recoil and low workage of the brass.